Enjoy the simple pleasure of a leisurely bike ride to a cafe, playground or picnic spot. These safe and easy cycle paths enable you to enjoy the outdoors at your own pace. 62 leisurely rides. Traffic free and safe. 1-3 hours riding time. Maps include bike hire, cafes and much mor... read full description below. Enjoy the simple pleasure of a leisurely bike ride to a cafe, playground or picnic spot. These safe and easy cycle paths enable you to enjoy the outdoors at your own pace. 62 leisurely rides. Traffic free and safe. 1-3 hours riding time. 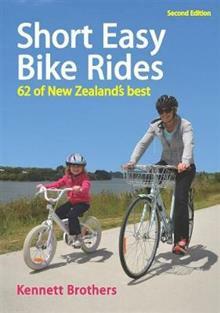 Maps include bike hire, cafes and much more.